Marcus is a Vice President at Pottinger, focusing on M&A and strategy advice. He ensures that our work is based on integrity, independence and sound financial analysis. Marcus has a unique background across the broader financial industry including project finance, private equity, equity markets (both cash and derivative) and advising clients on the options they face in today's challenging market. He has advised on transactions which include M&A, joint ventures, divestments, strategic growth options and global expansion initiatives. A deep passion for technology gives Marcus an advantage in today’s environment where technology is at the forefront of strategic opportunity across all sectors. This passion comes from his studies and early background in software development, having developed one of the first conditional stock trading systems in Australia in 2001. Marcus has lived and worked in Sydney, Hong Kong, the Greek Islands and New York City. 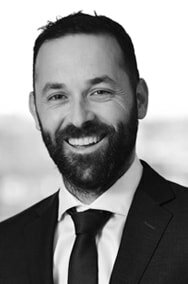 Prior to joining Pottinger in 2017 Marcus worked for Rothschild, Investec Australia, Macquarie Bank, and also as a private consultant to Australian private equity firms.